After moving to Denmark last year, I joined the Danish Ornithological Society, commonly known as DOF. The society has a well produced webpage and there are local branches around the country. 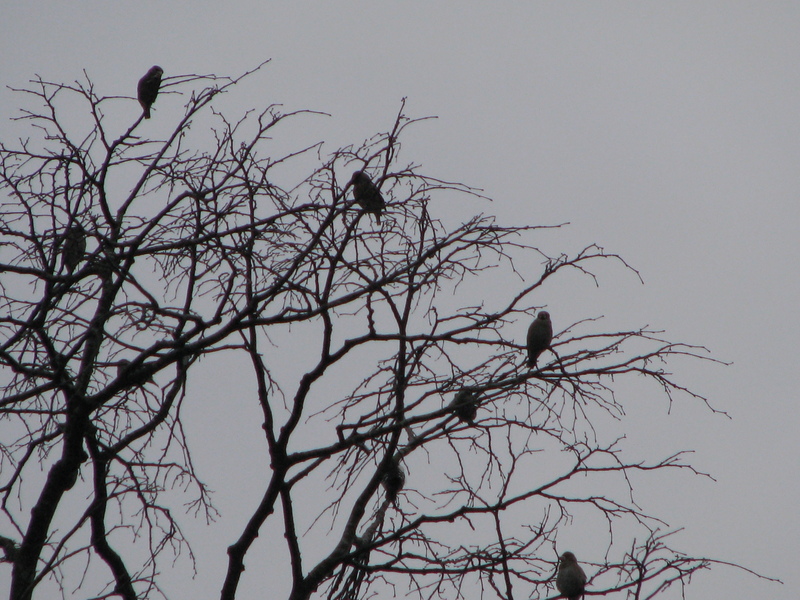 Each branch organize their own events, from bird tours/gatherings to social events. At the time I was delighted, that there was a community out there which I could join, that would help me develop my own bird knowledge and hopefully offer opportunities to get out and explore the danish countryside. 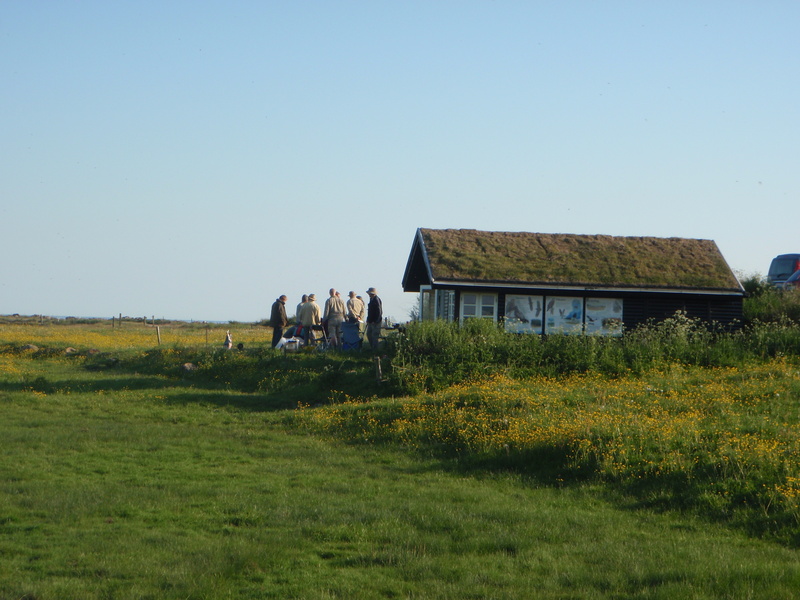 I also got involved with a group of volunteers who do various practical management tasks on a bird reserve on an island called Langeland (find out more here in Danish). The group meets once a month and combine bird watching and coffee drinking with various practical tasks from tree pruning, grass cutting, building, and fence repair – depending on the season. My involvement started on a high. I was really interested in getting involved and meeting new people. I was lucky to have found some really kind people who were able to help get me out, tell me about the opportunities and also provide transport so I could get out there and see these beautiful places. But as time went on I found it more and more difficult to keep in touch with what was happening. Every email, or notice on a website was written in a language I didn’t understand, and I didn’t always have my resident Dane on hand to translate, and as most people know, Google translate can only do so much! After a few months I found it impossible to keep up. I found it difficult to follow what was happening in the world of birds here in Denmark. When I did go out I was surrounded by people who spoke about topics I couldn’t follow in a language I didn’t understand. I was swimming in deep water, and felt like I was barely floating. This really demotivated me and I felt so ignorant. I was also getting increasingly busy with work (trying to earn a living) and other commitments as my life here developed in other ways. So I made a decision to step back as I felt I could only participate on a limited level, which isn’t how I wanted things to be. Thankfully I turned my feather related thoughts to a new interest – bird ringing. I was aware of what ringers do, through volunteering alongside a ringer in Somerset (England), but I had never thought it could be possible for me to train and become qualified. I heard about a ringing course from a local birder (networks are so important) and decided to attend it (although it would be all in Danish!). I spent weeks preparing for it, trying to learn bird names and important terminology and translating the many pages of rules and regulations (my resident Dane was roped in to help!) 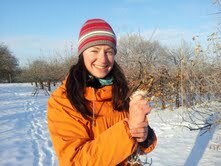 I survived the training course, met some very nice people and obtained a trainee ringers license. In Denmark as a trainee you learn to ring birds under the closer supervision of an experienced ringer, and I was lucky enough to meet a very friendly ringer, who spoke excellent English too – phew! Since the course I have been juggling work and Danish classes in order to get out ringing as often as possible. Bird ringing is a practical skill, which doesn’t involve a huge amount of language, (English or Danish). This suits me perfectly! I get the chance to be out in some very beautiful places, often very early in the morning when the rest of the world is still sleeping. It’s an amazing opportunity to develop my birding knowledge through close brief encounters with beautiful wild animals and at the same time contribute to the worlds knowledge of birds. There are times when I still feel “out of the loop”. There are various blogs and websites written for ringers and by ringers here in Denmark. Although my Danish is improving, I still need to invest a lot of time into reading a single article and it is still hard work, and at times I think others don’t understand the challenge that I face when it comes to the language. I do my best to “dip” into what’s written, but I still rely on others to point out the important things. Today was also a turning point for me. For the first time in a long time, I visited the website for the local branch of DOF (DOF-Fyn). To my surprise I understood what was happening, I could follow the posts about meetings and bird sightings. I even recognized a place where a group of birds had been reported, only yesterday. I decided I wanted to see them for myself. I dug out my map and headed down there on my bike. Wandering around a graveyard with binoculars I didn’t feel out of place, and after about an hour of aimless strolling between headstones two small flocks of birds arrived and made themselves comfortable in some tall trees – bingo! Today was the first time I observed haw finches (kernebider) and I was delighted. Even though I was standing there, alone, freezing on a Sunday morning in a graveyard, I had read and understood something (in Danish), then went out and found what I wanted to see. I felt empowered and elated through some form of bird related integration. Maybe soon I can become more involved in the local bird group, get out there, meet more people, practice my danish and have some more wonderful bird related experiences, here in my new home, in Denmark.